The year predictably saw tech giants break new ground, reaching new innovation. But 2017 wasn't always in the headlines for product development. Instead, the focus turned on the culture that has permeated through Silicon Valley. CEOs and the companies they run were in the spotlight for inappropriate sexual harassment and assault. The result was MeToo, a new social movement that has galvanised many. In other news, one of the world's biggest advertisers, Proctor & Gamble, demanded better from digital media. Amazon broke into the Academy Awards, becoming the first tech company to win. Brands embraced social live streaming. AI gained traction. But not as quickly as the speed of greed for cryptocurrency. All this and more, in the key developments from the last twelve months. The year opened with a spotlight on digital transparency. Facebook admitted reporting errors and YouTube suffered a boycott by companies after ads were run against questionable videos. Facebook and others responded. Advertisers cheered. But brands and marketers are not yet out of the woods. Mark Zuckerberg kicked off with his 50 state US tour. There was speculation it was his first step towards command at the White House. Brands jumped on the voice bandwagon. Domino’s Pizza, for example, has enabled customers to order directly through Alexa using voice. It was the year that Twitter became politicised. Trump offended many. The character count increased. And the tech giant lost the rights to stream NFL games to Amazon. MeToo was one of the biggest hashtags and social movements of the year. In February, Amazon won three Oscars. It was the first time a tech company won an Oscar, and it won’t be the last. It was the year of the breach. In March, Yahoo announced that 32 million accounts got hacked. 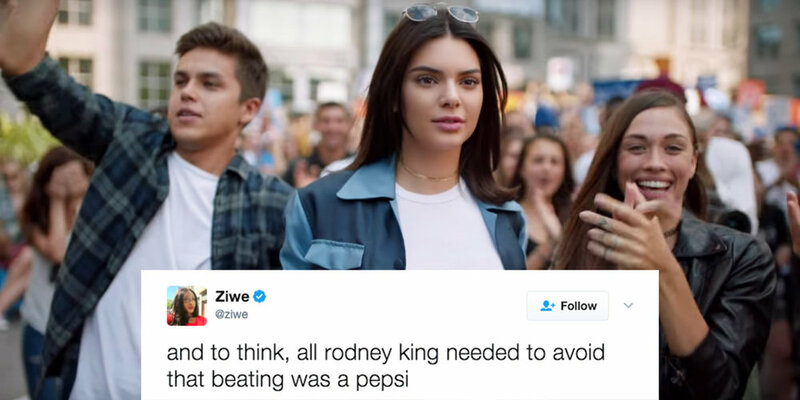 In April, cracks emerged in influencer marketing when Kendall Jenner gave a can of Pepsi to the police. Social media won and United Airlines lost when a Doctor was dragged off a flight. Messaging platforms increased in popularity as another channel for one to one marketing. In 2018, artificial intelligence, voice assistants and chatbots will enable brands to offer personalized shopping experiences on messaging platforms like Line, Messenger, WhatsApp and Kik. After controversy during the 2016 US Election, social media platforms stepped up their governance of content and advertising. In March, Snapchat went public. And Instagram outsnapped with Instagram Stories, becoming more popular than its rival just one year after going live. Brands continued to expand content marketing capability, including live streaming. VR lost its 2016 momentum, still at the edges of mainstream use. In July, Facebook was forced to announce a $200 price cut for its Oculus Rift headset(taking it down to $399) following a sustained period of sluggish sales. It was the year of AI. Or if buzzwords are your flavour, throw in 'deep learning' or 'neuro networking' or 'machine learning' in the same sentence. Fidget spinners reached their peak when Google built one into search. In May, the WannaCry ransomware caused global angst. In June, Amazon bought Whole Foods for just under $14 billion. The future of shopping will continue to change. Uber got beaten up. In June, Uber CEO Travis Kalanick resigned. By September, the tech giant announced Dara Khosrowshahi as the new CEO. In September, the AFL Grand Final became the second most watched TV event of the year, behind the Australian Open Men’s Final. Seven was Australia’s most watched television network in 2017. Meanwhile, more than one in four Australians – 26 per cent – watched TV via streaming. By November, cryptocurrency went mainstream. The stampede began. In December, Apple faced lawsuits after admitting it slows down ageing iPhones. Also in December, changes in net neutrality laws in the US could spell trouble for internet users in Australia. With the potential for other countries to follow, the anti-competitive moved could allow ISPs to charge more for customers to consume high-data sites, such as Netflix.